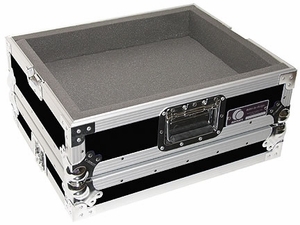 Our medium-duty turntable case assures you that your gear resiste damage from the rigors of mobile DJ'ing for years to come. The stackable design fits your 1200 Style turntables. Product Dimensions: What does this mean? Width Height Depth 21" 8.5" 17.5"